Cocoa Drug Possession Lawyers and Attorneys - Templeton Law P.A. At Templeton Law we are skilled at defending clients against drug possession charges in Cocoa, Florida. Our Cocoa drug possession lawyers are dedicated to protecting your record and keeping you out of jail. 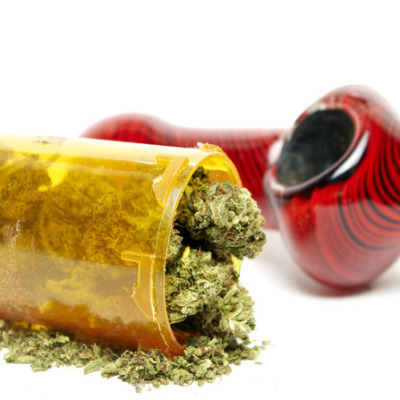 What is drug possession law in Florida? Some drugs or chemical substances are illegal in Florida, and are considered “controlled substances.” These drugs are listed in Chapter 893 of the Florida Statutes. While many parts of the country have begun to relax their drug laws, Florida drug possession charges tend to get harsher every year. On top of that, drug possession charges become more complicated, too. But, our knowledgeable drug possession defense Lawyer in Cocoa is experienced with defending you against Florida’s complex drug charges. If you’ve been charged with drug possession, unfortunately, these charges come with incredibly harsh punishments. Templeton Law a drug possession law firm in Cocoa is experienced with handling drug cases that include possession of controlled substances, prescription drug fraud, possession of paraphernalia, and also drug trafficking crimes. Please contact us to discuss the specifics of your drug possession case. Templeton Law Firm is committed to helping you beat a drug possession charge. In Florida, prosecutors must prove criminal drug possession beyond a reasonable doubt to convict someone. Their evidence must also include that the substance was the specific drug that law enforcement said it was at the time of arrest. A prosecutor can also argue that the drug was within the knowledge and presence of the defendant. The prosecutor has to prove that you knew the substance was an illegal, illicit drug. This is one of the reasons why it is so important not to speak to the police when you’re arrested. How can Templeton Law Firm help you beat a drug possession charge in Cocoa? There are a multitude of defenses against a drug possession charge, including but not limited to lack of personal knowledge of what the substance was or that it was within your control, illegal search and seizure, a valid prescription from a medical doctor, and possibly entrapment. Even if you did give a statement to the police, hope is not lost. Our experienced drug possession defense attorneys in Cocoa can file a motion to potentially have your comments to the police suppressed. A drug conviction is a serious charge. It often comes with jail time, fines, and also a permanent criminal record. One mistake can haunt you for the rest of your life if you don’t fight the charge. If you have no prior drug convictions, it’s likely that we can get your charges dropped. Even if you have a prior record, we can still fight for you to have the charges reduced. We know what prosecutors are looking for, and you can put our knowledge and expertise to good use, defending your reputation and driving record. Contact Templeton Law in Cocoa today. We will look through every aspect of your case to find weaknesses to exploit, and we will aggressively defend you in court. Please submit your case details either through our online form, or call us immediately. The sooner we can get started on your defense, the higher the chances of getting a favorable outcome for your case. All initial consultations are 100% confidential and free of charge.